JBS Construction is a family-owned concrete construction company homegrown right here in Wisconsin. We started more than 30 years ago with the goal of providing superior concrete construction services for business owners and homeowners at competitive prices. 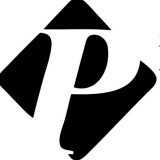 Three decades later, we’re known all over southeastern Wisconsin for providing high-quality services at affordable rates. When you choose JBS Construction, you can count on getting a job done right — and even more importantly, on time. As experts in exterior concrete, and concrete driveway installations, you can count on us to provide the high-quality, on-time work you want for your property, and at a price that’s just right for you. Plus, our customizable service model means that we can work within any budget. We’re eager to work with and for you, so we’ll take the time and effort needed to find a solution that fits your needs. And, your satisfaction is guaranteed. If you’re not satisfied, neither are we. Suburban Asphalt is a full service paving operation. We specialize in the construction of asphalt pavement for residential, commercial, industrial and municipal applications. 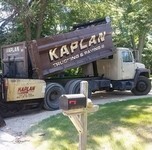 Suburban Asphalt is a family owned and operated paving company founded in 1965 by brothers Terry (Sr.) and Roger Buss. We are located in Franklin, WI and currently provide asphalt services to almost all of Southeastern Wisconsin. Suburban Asphalt prides itself on customer satisfaction, using state-of-the-art equipment and techniques to achieve the best paving job possible. Suburban Asphalt clients include commercial property owners, property management firms, apartment communities, shopping centers and malls, industrial/commercial facilities, townhouse and condominium associations, and residential homeowners. Sirrah Construction LLC prides itself on being the go-to choice for clients looking for Road building, Paving and Municipal Contractor services. Once you hired Brick Design you’ll never going to need another company. Woodstock Paving Service Inc. is a family owned and operated paving company that has been serving McHenry, Lake, and Cook Counties communities of Northern Illinois since 2000. We provide residential, and commercial asphalt services that include but aren’t limited to paving, seal coating, and striping. Our commitment and dedication to customer service and our clients has placed us in the forefront of the asphalt services. We utilize quality equipment and materials to bring the client the greatest value. Our loyalty to performing quality work allows us to continue building up our list of clients. Woodstock Paving Service has provided services to numerous home owners, businesses, residential communities and residential sub-divisions in the surrounding counties. Please take the time to navigate through our website and become familiarized with the quality of work our company provides for you. From installation to repair, Muskego, WI driveway contractors are responsible for a variety of planning, installation, construction and driveway maintenance services. Driveway installation. Before work begins on a new or replacement driveway, your professional should create plans based on your needs and material choices, as well as your property grade, soil and other Wisconsin landscape factors. When it comes to the actual driveway construction, driveway contractors are responsible for preparing the site, obtaining the necessary materials, making sure a strong foundation is laid, operating equipment and heavy machinery, and cleaning up the site afterwards. Driveway materials. While most driveway contractors in Muskego, WI primarily work with asphalt, they are also experts on the wide range of available driveway materials. If you are looking for something different than a standard asphalt driveway, your pro can help you select driveway pavers or customize a brick driveway design. 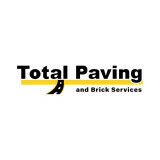 A driveway installation and maintenance professional may work closely with a Muskego, WI builder, landscape professional or various manufacturers and suppliers. 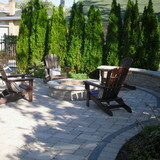 Find a Muskego, WI driveway installation and maintenance professional on Houzz. Narrow your search in the Professionals section of the website to Muskego, WI driveway installation and maintenance. You may also look through Muskego, WI photos to find examples of driveways that you like, then contact the professional or contractor who worked on them.